Hooray for the British Type Two Owner’s Club! When we toured Wales and the Southwest of England in our old kombi in about 1998, we passed a camp ground filled with VW campervans. We turned around and found out that it was one of the meetings of the British VW Type Two Owner’s Club. We were warmly welcomed, joined the meeting, had a great evening and I became a member. 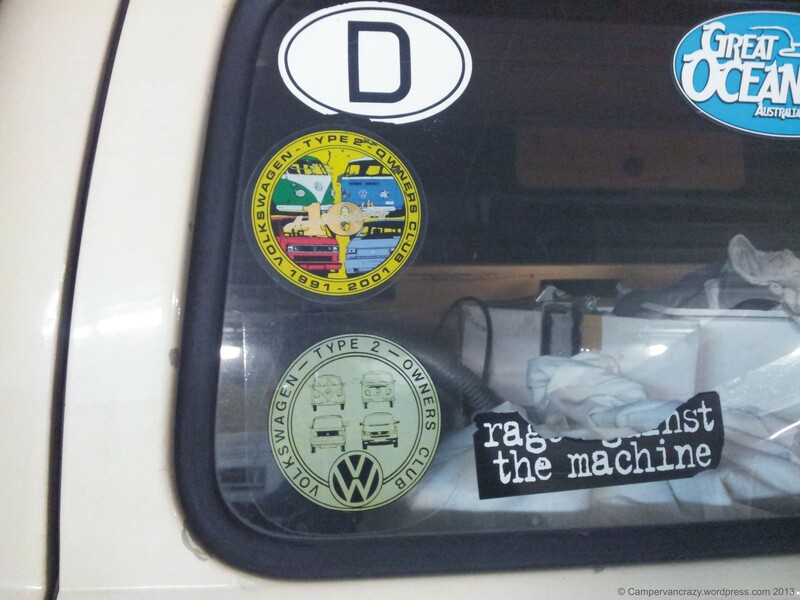 Membership came with a cool club sticker which was joined in 2001 by a 10-year-anniversary sticker, both proudly shown on the Old Lady’s back window ever since. I lost contact when I moved in 2001 and they lost track of my address. Should get my membership renewed before the next trip to the UK. Actually tentatively scheduled for this summer. Let’s see what happens! 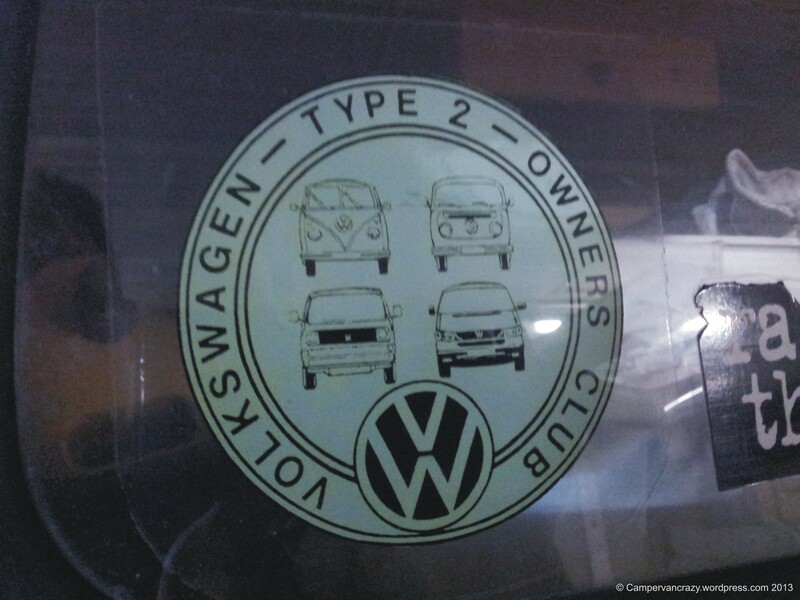 I learnt from a car sticker on a pimped red T4 VW bus on the market square in Budweis that there is a Czech kombi club. It is called Transporter Club and can be found under transporterclub.cz. I do not understand any Czech, but there are beautiful bus photos on the web page, amongst them the snapshot below, a screen shot from the site. Beautiful family photo of T1, T2a, T3, and T4! Anyway, there is also a bulletin board where kind Czech bus drivers answer in German (and probably also English) when you cannot speak the language and look for help/information in the Czech Republic. 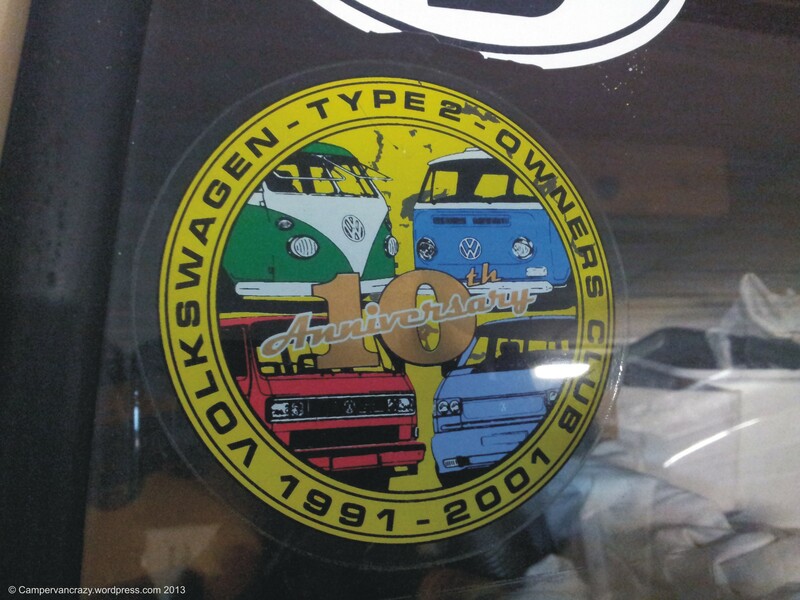 Nice Club logo, too: Silhouettes of a T1 and the “New Microbus” (in Germany at the time called the “New Bulli”) presented around 2001 as a functional T5-based prototype which later never made it to the market.